Our family traveled a lot when I was growing up. My dad’s job moved us around the country and Dad made sure we visited important sites in each area. Now I often say I learned more on the road than in the classroom. Not all families are blessed to move or travel around the country. It’s possible to learn about history, culture, and language of other areas of the country and around the world without leaving home. 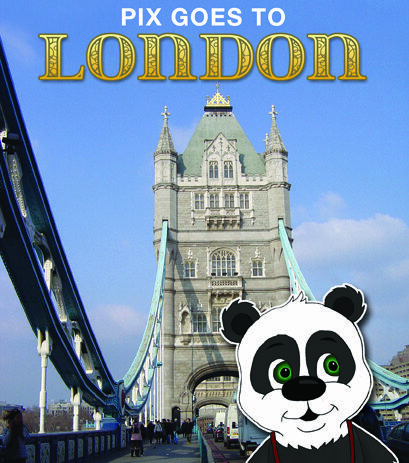 Pix the Panda World Tour series is one is specifically designed for families to “travel” around the world. Erin Salazar was looking for books for her little ones, which would reinforce foreign language learning while teaching culture and history. She couldn’t find anything appropriate, so she wrote her own. Pix Goes to London is the first in the series. 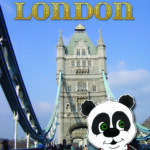 Pix is a paper panda who travels in and around London seeing the sites and learning history. Along the way, he also learns terms we Americans may not understand, such as The Tube. Sometimes even English can feel like a foreign language. The pages are covered with quality photos of London landmarks. A concise explanation and history of each site are also included. Salazar has done her homework. For example, I didn’t know the clock tower isn’t named Big Ben, that’s the bell for the clock. The tower’s official name is Elizabeth Tower. The text is easy to read, but not dumbed down. The story can be easily used as a read-aloud book for the entire family, as well an early reader book. Simple activities are included at the back of the book and online, www.pixthepanda.com. A definite plus for is this book is only available in print, not in an e-book format. Salazar believes young children should read the printed page, not e-pages. This is not only healthier for young eyes, but also it helps cultivate a love for books. Whether part of your child’s reading program or a family-read, Pix Goes to London is a good addition to any family library. I’m looking for more books the World Tour series. You may enjoy Erin Salazar’s article Learn a foreign language as a family.